Let Me Go On &; On...: Is It All a Façade? Is It All a Façade? You really have to wonder if what’s being shown on TV is actually the real deal. I’ve come across certain reality shows where I had to ask myself if this was serious. How can so much drama be drummed up in approximately one hour? (One hour = one day in TV land.) I have a good friend who used to produce reality TV shows. A lot is 'set up'. Yes, all in all it was real, but a lot was added, lines were added and more emotion was ordered from the directors. 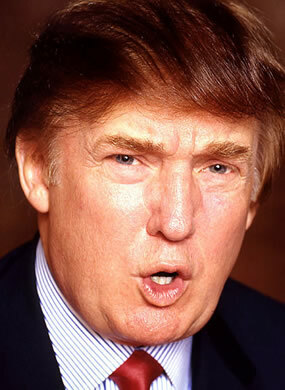 My first gripe is the famous Rosie O’Donnell vs. Donald Trump match. Think about it, if these two were really fighting it out, Donald would just have sued her without commenting on any network, especially "Entertainment Tonight". Rosie O’Donnell has been cast out by her own people. She has a lot of controversial history. She needs to get back into the limelight. I thought "The View" would help that, but unfortunately, she needs to enhance it. What better person do to this for her than Donald Trump? But why would he want to do this for her? Think about this… He has his new season of “The Apprentice” coming out. It basically flopped last season and he needs much more ratings. The both of these people need major ratings! Publicity stunt? Or is this actually for real? Moving along, I’ve come across another show that made me a bit curious. 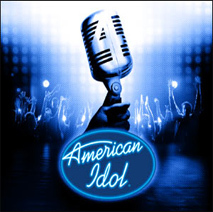 "American Idol" had its first season premier Tuesday night and last night. They were both two hours long full of people who were auditioning in front of the three tough judges. (Well actually one tough judge.) Anyway, they had the most bizarre people trying out to be the next American Idol. Not only that, the insults that flew across the audition room were so awful that you almost cried for these people. Some were eccentric looking, some were actually mentally slow or retarded and others were extremely overweight and were criticized beyond belief. A young kid walked in there auditioning who had big eyes and a very petite face. He was compared by Simon as a “Bush Monkey”. What also gave it away was the fact that some of these people sang so oddly loud and crazed, that you had to believe it was made up by the producers. This couldn't be for real. Anything for ratings, right? Now Trading Spouses brought back the famous radical “God Warrior”, Margaret Perrin. How much you want to bet this lady has fun with her ‘role’? What do you think? Can You Believe This Crap?